Nature Genetics has a massive new paper on human Y-chromosomes based on the latest 1000 Genomes data. I'm still getting my head around the details, but at first glance it looks like a very capable effort. This part basically reads like some of my blog entries in recent years. The emphasis is mine. In South Asia, we detected eight lineage expansions dating to ~4.0–7.3 kya and involving haplogroups H1-M52, L-M11, and R1a-Z93 (Supplementary Fig. 14b,d,e). The most striking were expansions within R1a-Z93, occurring 4.0–4.5 kya. This time predates by a few centuries the collapse of the Indus Valley Civilization, associated by some with the historical migration of Indo-European speakers from the Western Steppe into the Indian subcontinent 27. There is a notable parallel with events in Europe, and future aDNA evidence may prove to be as informative as it has been in Europe. Very thorough paper that was years in the making. Many exciting tidbits such as the recent expansions of R1a1 and R1b (already well-known), but also the new phylogeny of the F clade with a GHIJK SNP and the predominance of "early" J2a lineages in India, likely reflecting ANI and the CHG autosomal expansions separate/before the Neolithic. All three Y-DNA clades mentioned in the blurb are present at high frequencies in the Kalash people, collectively comprising about 63% of Kalash men. For some reason my computer really hates the PDF for the supplementary figures. Won't let me read them in peace. Thanks , looks an exciting paper . Although without aDNA from India, Iran and else, there is nothing to have an interpretation . But still going to be a good read. It'll be interesting to see if this is confirmed with ancient DNA. It's possible that the yay or nay will come from Upper Paleolithic European genomes, which are on their way, and coming soon. Very soon. "Three new features of the phylogeny underscore the importance of South and Southeast Asia as likely locations where lineages currently distributed throughout Eurasia first diversified (Supplementary Note)." Z93 spread back there ? "Although without aDNA from India, Iran and else, there is nothing to have an interpretation." Well, at least it is pretty clear that R1a-Z93 expanded in South Asia in a very similar time and fashion as R1b-L11 and R1a-Z282 had their own explosions. It is very hard to suggest that those would be completely independent events. And if they are related events, and we know a bit about one of them, then we may know a bit about all of them. "Mother Nature like repeating herself"
I'm betting on Y-HG R and/or R1 in some of the layers at Sungir and Kostenki. Let's wait for ancient DNA to surprise us both. I have always suspected an early Indo-Iranian presence in the Northwest of the Subcontinent before the main influx of proto-Vedic peoples, much like the early Germanic presence in the Roman Empire before the full influxes of the late 4th century. Am I reading correctly the Supplementary file? The age of expansion of L1.323 is btw 3.8-4.4 kiloyear. That is fitting into Indo-Aryan period. @Dave: "I'm betting on Y-HG R and/or R1 in some of the layers at Sungir and Kostenki"
Their Supp. Table 10 dates the Q-R split at 30-35 kya, and the split or R into R1-M273 and R2a-M124 at 33-28 kya. That would be too late for Kostenki 14, and possibly also for Sungir (30-35 kya). I would in both cases still expect "West Eurasian" GHIJ. Later Kostenki levels might include R, but in that case I would rather go for R1b - the R1a-R1b split is dated to 23-27 kya. If the upcoming paper has aDNA from eastern Europe, I'd suppose that ANE type admixture arrived sometime c. 12-10 ky BP, to Russia, but only reaching northern Ukraine, not south or west. There is a likelihood of CHG in the Mesolithic Caucasus & southern Ukraine. Western Ukraine: connections to Balkan Mesolithic; and Poland with North Europe, both of which are versions of WHG. History never repeats itself but it rhymes. Do you concur? Because that would be a change with respect to haplogroup P.
thus 5500 years before present and not 4500 calculated from YFull. They are the 1000 years more I am supporting from so long. Of course if that is true, all the theories that the expansion happened with Bell Beakers from Iberia (or central Europe) are wrong. I am always waiting that aDNA fro Tyrrhenian Italy is tested. I don't concur. I think it's naive to think that we can say much about what happened 30-50K years ago based on a couple of cases of extremely rare "basal" clades. The only way to know where K, P and R diversified is with ancient DNA. Although I can already say with some confidence that R is essentially a Siberian lineage, and R1 an Eastern European one. @Dave: R is essentially a Siberian lineage, and R1 an Eastern European one. I am having problems to reconcile the current distribudtion of R2 with R being essentially Siberian. A Central or South Asian origin of R looks more plausible, but, of course, we will nee aDNA to be sure. R1(a) being Siberian, and R1b Eastern European, however, would make quite some sense. 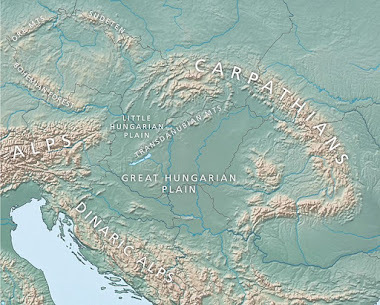 Whether "Eastern European" means the Transcarpathian LGM Refugium, or the Western Black Sea (now inundated) would remain to be seen. In any case, we have R1b1 in Iberian Neolithic, those Derenburg LBK samples with F*(xGHIJK), and the Baalberge Culture R1(xR1b1a2, R1a1a) from Quedlinburg all pointing at the presence of R1(b) in the European Neolithic prior to the arrival of significantly EHG/CHG-loaded pops, which means that R1b could potentially also have been part of EEF, as R1b1 apparently was in Africa. "as R1b1 apparently was in Africa"
Which proofs about that? The oldest R-V88 haplotypes are in Sardinia, Italy, British Isles (Saxton and Italian Marchesi). All the African and Middle Eastern haplotypes are all late subclades of Z7771. The oldest R1b1-V88 found so far is in Iberia 7100 years ago. A Central or South Asian origin of R looks more plausible. R and Q split from each other in Siberia. That's what the data currently shows. R1(a) being Siberian, and R1b Eastern European, however, would make quite some sense. It would make no sense. Karelia HG with R1a is located west of Samara HG with R1b. And R1a dominated Corded Ware is located west of R1b dominated (eastern) Yamnaya. There's no very convincing reason to say R1a originated in East Europe. The best evidence is the Karelia HG and Samara Eneolithic R1a1s. We have as much reason to say R1b originated in East Europe. The border between Europe and Asia North of the Caucasus didn't matter in the Stone age, because there could have been very related MA1-related people tracking many miles on both sides. Just say North Eurasia, till we get Mesolithic/Palaeolithic genomes from east of Samara. I think we need to view it very conservatively. Until we get more aDNA we won't know. There's lots of possibilities. Genetiker also has this idea that R entered Europe with Gravettian and that it will be found in the famous Sungir burials, and that somehow it's been hiding up till now in Europe due to incomplete sampling. Even restricting it to Eastern Europe I still see a similar problem based on ancient DNA. If R1 was in or near Ukraine before and after the LGM, how can we explain that it didn't appear in the rest of Europe for over 20,000 years? If R is found there, I think it will be a dead end. I think that the only parsimonious explanation today is to consider that the core area of R1/ANE (and possibly Q with it) was from the Altai to the Hindu Kush, and that from there it was repopulating Siberia whenever possible. That's the place from where it could reach Siberia and South Asia, and from where it eventually reached Eastern Europe some 10-12 Ky ago (as Rob suggested above). R1b had to be present in West Asia too, probably reaching it from the east in some early Neolithic movements. Only from there it could move into Africa (and sporadically into European Neolithic). The oldest R and Q clades being in or near Iran could be a red herring. But together with the rest of the data I don't see I reason for ignoring them at this point. EHG is a distinctly North Eurasian population, and probably best described as East European/West Siberian. It shows strong continuity with European hunter-gatherers in the west, and Siberian hunter-gatherers in the east, like the post-Ice Age Afontova Gora2. Time to forget the Hindu Kush angle. "The split and dispersal of K from somewhere about SE-Asia would make sense when combined with this study about the origins of dogs"
The first dogs in SE Asia arrived with the first farmers, about 4k years ago. There are no native wild dog species in this region. The current distribution of dogs does not inform us about pre-history. I also wonder if the same applies to the "dispersal of K". SE Asia was sparsely populated up until the Iron age, with no evidence of population expansions, and plenty evidence of populations struggling with malaria. I have always suspected that many people usually have some sense of their last place of origin in their collective conscience so that they can back migrate in case of desperation or whatever. My own family lives at place "A" nowadays where they have migrated few centuries ago from place "B", I have started suspecting for some years that it is quite possible that family might have migrated to place "B" from the same place "A" where we reside now in the distant past and just kept a memory of this place in their collective conscience and just back migrated to place "A" few centuries ago possibly because of some desperate situation at place "B". Yes it seems a crazy hypothesis but it is possible. "Despite the strong patterns presented by the genetic data, archaeological evidence supporting an East Asian origin is missing11. Several important factors further confound current analysis. First, the morphological differences between dogs and gray wolves are not always very clear-cut, especially for specimens from the early phase of dog domestication48. In fact, a recent ancient DNA study has ruled out several ancient dog-like specimens found in Europe13. Second, archaeological studies in the Far East are generally lagging behind those in Europe, with most of the ancient dog-like fossils from before 12 000 years ago being found outside of East Asia11. This could also be due to the unfavorable environmental conditions for preserving fossils in southern East Asia. Nevertheless, it is possible that multiple primitive forms of the dog existed, including in Europe13,49. However, in this case, the genetic pattern presented here shows that those lineages were replaced by dogs that migrated from southern East Asia, and thus made negligible contributions to the modern dog gene pool (Figure 1D)." It's to be noted that they speak more of Southern China than peninsular SE Asia though. The tree structure of modern dogs they have is also similar to that of humans + archaics (in that Africans have the basal position among modern humans and S-Chinese dogs have the basal position among modern dogs). In theory it's possible that all basal dogs moved to Southern China and do not survive elsewhere but that isn't the most parsimonious explanation even though some backmigration has possibly happened. Archaeological evidence in Southeast Asia including Southern China regarding human presence is complicated by things like bamboo tools not being preserved unlike stone tools etc. There are no wolves in SE Asia, so the "morphological differences between dogs and gray wolves" is not relevant when looking at archaeological evidence in this region. No dogs or wolf remains have been found in SE Asia dated to before the arrival of agriculture from Southern China. Does the paper you quoted contradict this? Southern East Asia (Yangtze river and north), is a possibility for the origin of domestic dogs, but not SE Asia. The paper mentions those morphological differences in reference to dog-like fossils found outside East Asia. Southern China is as I mentioned their proposed origin for dogs rather than peninsular Southeast Asia (migration routes behind link). Nonetheless if expansion from there can be associated with human lineages, it is hard to come up with anything more suitable than something involving K subclades. So much to the bride kidnapping stuff. What a few members have suggested turns out to have been true and many other made even fun of Fire haired for having exactly the same theory. What we are seeing in the Steppes is that a few male lineages (leaders) took most wives due to a very patriachal society and most other yDNA(be it the CHG or EHG lineages) died simply out. First it was R1b l23, later R1a z93 took the lead and so on. It was merely coincidence that those lineages survived. Didn't I said that not all R lineages can have come from the Steppes? South Asia/Iranian Plateau has too much ANE in comparison to their total "Steppe scores" that all of it could have come from there. Therefore a very ANE like population must have lived in South Asia/Iranian Plateau prior. And this population had most like R lineages. And those (beside yDNA J) probably contributed the ANE into the "CHG" component. Those results also confirm my arguments that there are simply too many very ancient and basal R lineages in South_Central and West Asia that they could have come via the Steppes during Bronze Age. So much to the bride kidnapping stuff. Bride kidnapping is a common practice among hunter-gatherers, so I have no idea why you think it didn't happen on the steppe? Where does it say in this paper that it didn't happen on the steppe? Didn't I said that not all R lineages can have come from the Steppes? Really not sure what point you're trying to make here? 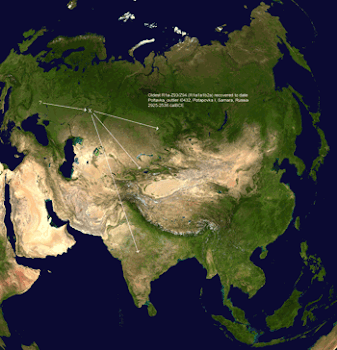 RQ is in all likelihood from Siberia, and probably expanded from hunter-gatherer sites that were active throughout the Ice Age, like Afontova Gora. It expanded to Europe as R, the Americas as Q, and probably Central Asia as pre-R2, giving rise to R2 there. R1a is not from Central Asia or Iran, if that's what you're trying to suggest, like Alberto above. "It expanded to Europe as R, the Americas as Q, and probably Central Asia as pre-R2, giving rise to R2 there. R1a is not from Central Asia or Iran, if that's what you're trying to suggest, like Alberto above". I am beginning to agree with you, or are you beginning to agree with me? Read all what I am writing from ten years about R-V88, R1b1-L389* and subclades in Italy but also in Western Europe. It lacks only the aDNA. Italy has so far only 4 tests: 1 G-L91 and 3 I2a. R1b didn't come from Italy. Just forget about that angle. "R1b didn't come from Italy. Just forget about that angle"
Say you where the first R-L51* will be found. About R-V88 from Sardinia/Italy it seems to me that it is demonstrated, both from the 7100 years old aDNA in Iberia (very likely from the agriculturalists from Italy of 7500 years ago: see Zilhao) and the oldest haplotypes in Sardinia (see Francalacci et al. 2013 and 1015) and the smal's tree. "About R-V88 from Sardinia/Italy it seems to me that it is demonstrated, both from the 7100 years old aDNA in Iberia (very likely from the agriculturalists from Italy of 7500 years ago: see Zilhao) and the oldest haplotypes in Sardinia (see Francalacci et al. 2013 and 1015) and the smal's tree." It is very clear. R1b originated in Sardinia. The fact that is an island well known for having unusual human genetic patterns is not relevant. "Bride kidnapping is a common practice among hunter-gatherers, so I have no idea why you think it didn't happen on the steppe?" Where did I claim it never happened? Bride kidnapping is a world wide known issue especially among people wth archaic Indo European custom. My own people had a big problem with this just few decades nowadays it's very rare. In Kyrgystan it is still extremely common. The point where I disagree is, that you tried to explain the ~50% CHG in Yamna via Bride kidnapping or swapping exclusively. While I said that we are dealing here simply with founder effect due to a very patriachal culture with hierarchy where probably only a few of dozens of male Haplogroups survived and it was mere coincidence that it was predominantly R1b l23 in Yamna and z93 in Poltavka. All I said is that this does not prove that there was no contribution of other male Haplogroups to the formation of these people. RQ is in all likelihood from Siberia, and probably expanded from hunter-gatherer sites that were active throughout the Ice Age, like Afontova Gora." Please read the paper archeologically it doesn't look logical that Siberia is the origin and I remember a study a few years ago which also pointed to Southeast and South Asia as origin of P (Q/R) not Siberia. All basal clades of R are found in South_Central Asia and nearby regions and yes I do suggest that R originated in South_Central Asia or the nearby Iranian Plateau (more likely South_Central Asia via Southeast Asia). When data doesn't match pre-conceived ideas or hopes, a good scientist adapts and doesn't cherry pick bits and pieces that can be slanted towards old views. R1b isn't from Spain, Italy, or Iran. Coming on here and repeating the same tired lines every couple weeks won't make your fantasy a reality. Use an unbiased eye and you'll see. I rarely write on this blog. I wrote because it seemed to me that the position of Davidski were changed as to the past, when he wrote that Anatolian aDNA found so far was very likely linked to the European one and not to the Middle Eastern one and when he wrote that R1 migrated to Europe and very likely in Europe developed. I repeat to you: about R-V88 my theories have very likely been confirmed. I ask to you too: say where R-L51 will be found. So far not in Samara, not in Hungary, not in Anatolia. Samara samples are only old subclades of R-Z2105. Neither my Z2110 nor the sister clade CTS7556 (ancestress of all the CTS9219) has been found there. I said where I think it will be found. Say you yours. P.S. Is it too difficult to write Gioiello and not Gioello? Its so clear that R originated in anywhere in steppes and north of the Hindu-Kush mountians. As how Caucaus mountains made a great barrier between stepes and Anatolia, Hindu Kush mountains do it jobs till bronze age . R1a and R1b and their subsclades (except V-88) cannot be found in Iran platue before 3000-4000 BC. Otherwise both R1a and R1b would be found in west Asia homogenously like J2a distrubtion. But there are many places in west Asia where R1a almost absent and R1b is very low. Samething also valid for other subsclade of R like R2 (they might enter Iran earlier but its so clear that they were "visitors"). Even T and L is more frequent and divergent in West Asia rather then R2. Thus how can you claim that R originated in Iran platue. IMO R originated in southwest Siberia. May be a bit more southern but not in Iranian platue. One rare line doesn't prove anything. Europeans are highly sampled compared to others. More sampling from West Asia will find them. V88 split from European R1b 16-18kya. The two aren't connected. You're reaching here. There is no expansion at anytime from Italy to Samara and West Asia. You're going backwards. Samara Valley is a long ways from the Carpathians. About half the continent away. M269 will be found in mesolithic and Neolithic sites between the Volga and the Dnieper, but not as far north as Samara. That happened after 3500BCE. Just wait and see. Just to explain this a little more; V88 is obviously a Neolithic marker, from West Asia. It spread with Cardial pottery. This is plain to see with a spread across the North and South Mediterranean coast. It is not spread around Northern or Eastern Europe. M269 has not been found in anything that is not Yamnnaya derived. Rare lineages show up because hunters moved around and odd things survive in strange places. For instance, you can find M343 in West Asia, Northern Asia, and even Nepal. Your assumptions are about as unfounded as someone from Nepal claiming to be the birthplace of R1b. It doesn't mean it originated in any of those places. You're making false assumptions about a lineage that aDNA has been disproving over and over as we go. Diversity or rare lineages do not prove somewhere as a place of origin. Your national bias has clouded your vision. Am I the only one to have national bias? Are you, with your Viking surname, the theorist of a Baltic or Scandinavian Refugium? Of course what you say has no meaning. You are speaking to one who studied above all the Y and the mt, not the autosome. Have you any experience of DNA.land and of whom created it? Did you read my post about Copernicus? I feel that you are whirling around absurd epicycles. Only a few notes for your memoranda: 1) Asia has only R1b1-L389-. 2) The highest variance of R1b1-L389+ is in Italy. 3) The oldest haplotype of R1b-L51-PF7589+ (xCTS6889) are in Tuscany. 4) Italian aDNA has only 4 samples tested, no one from Tyrrhenian Italy. 5) That R-V88 came from Middle East is the theory of whom who think that R1b came from Middle East, but Africa and Middle East have only late subclades of R-V88, whereas Sardinia/Italy and also the Isles have the oldest ones. That there was a Mediterranean Refugium of mt HV is thought now also from many scholars, but I said that many years ago. Let's wait, and when R-L51 in aDNA will be found elsewhere from Italy, write to me. "Bride kidnapping is a world wide known issue especially among people wth archaic Indo European custom. " There is nothing particularly Indo European about bride kidnapping. For example, even in the late 20th century, Korean weddings routinely featured vestigal symbolic bride kidnappings that we anything but symbolic a century or two earlier. Some insight into how it might have gone down may be gained from looking at places where herders still raid for women and cattle - especially in the context of a common theme where the older men own all the cattle and monopolize the women so impatient young men have to raid for cattle to pay a bride-price or for brides directly. "because cattle are also an important element in the negotiations for a bride and young men use the raids as a rite of passage and way of increasing their herds to gain status"
"The study findings suggest that hunger and drought impacting on availability and access of resources are critical raiding motives among the Turkana, while increasing wealth and payment of dowry are the most important motives for the Pokot"
If you read all the cattle raiding stuff related to still existent or recently historical pastoral groups from around the world then what *may* have happened on the steppe won't seem particularly far fetched at all. This doesn't prove anything but I think "impossible" is too strong. A) I am not Scandinavian, and this is not my surname by blood. Nice try. B) Asia has all kinds of R1b, even under M269 and L23. You really need to update your research. M335 is not uncommon in Central Asia and Western China. Where is it in Europe? R1b diversified in Eastern Europe and Asia. Just wait until we have a bunch of UP and Mesolithic genomes. You and Maju will have nothing to hang this crap on. Be sure, that very few or none understand STRs like me. Plus your argumentation is lacking. Create a coherent narrative for your hypothesis more than just V88 is old in Sicily. Ie how when and by what means did all the R1b migrate out of Italy. And more importantly how did R1* get there in the first place ? @David - I agree the R/Q split happened in Siberia, but what evidence supports that claim that doesn't support a breakup of K2b splitting up somewhere in South or Southeast Asia? "Do you concur? [the importance of South and Southeast Asia] Because that would be a change with respect to haplogroup P". In spite of what Davidski says ("I think it's naive to think that we can say much about what happened 30-50K years ago based on a couple of cases of extremely rare "basal" clades") those basal clades separate neatly into different islands in SE Asia. And P derives from just one of those lines according to the currently accepted phylogeny. In fact its closest 'relation' is the most easterly of those basal clades. "R and Q split from each other in Siberia. That's what the data currently shows". I certainly accept that to be the case. But the data suggest that human groups have often moved huge distances. "I agree the R/Q split happened in Siberia, but what evidence supports that claim that doesn't support a breakup of K2b splitting up somewhere in South or Southeast Asia?" K2b could've split in Central Asia and several lines went in various directions. You never know. Oase-1 and Ust-Ishim now look like they're only different by 3 SNPs if I'm understanding the new paper correctly. So, a UP European has a rare lineage like modern SE Asia. I think the safe bet is K2b survived better in SE Asia due to such isolation for the last 30-40k years, compared to the rest of Eurasia. I wouldn't be surprised if a K2b shows up in UP Europe. The expansion from Italy is clear: agriculturalists via sea 7500 years ago to Iberia (Zilhao) and the Cardials and the following cultures till Bell Beakers (don't forget that BB were in Iberia but also in Southern France and Tyrrhenian Italy). I think having been honest in saying that it should have been checked if Cardial came from Mesolitic "Italians" or from Middle East, what you all give for discounted, but let's wait. No R1b in Northern Anatolia and that it came from Middle East has to be demonstrated yet. Meanwhile also the scholars bring grist to my own mill; the U5b3 expanded certainly from Italy, now the HV in a recent paper, and my theory that also R0a came from Italy: the oldest haplotypes R0a and R0b are in Italy and not on Middle East or around the Red Sea. Now that also hg J didn't come from Middle East, but from Caucasus and it is very old also in Italy is evident to everyone. About STRs and variance (with my old ideas not those of all the others demonstrated wrong) I prefer thenm to the epicycles you all Ptolomaics are drowing around the autosome. "K2b could've split in Central Asia and several lines went in various directions". Possible. But that is not what the phylogeny points to at this stage. If it is eventually shown that the individual branches on the individual islands in SE Asia form a single clade you will have a case. But at present it seems very unlikely that the various SE Asian clades would have become so definitely sorted if they had immigrated from elsewhere. "Oase-1 and Ust-Ishim now look like they're only different by 3 SNPs"
That makes sense as they are both considered K2a*, a basal branch within the East Asian NO, presumably from before the N/O split. They are on a completely different branch from K2b, and likewise K2c, K2d and K2e. "So, a UP European has a rare lineage like modern SE Asia". Well NO is a 'northern' branch within K2 and so it looks as though both Oase-1 and Ust'-Ishim spread across Central Eurasia from the east. The lineage is now extinct and so its presence says nothing about any more recent entry into Central Eurasia. And Ust'-Ishm has a my-DNA related to eastern B which lends support to an eastern origin for that population at least. "I think the safe bet is K2b survived better in SE Asia due to such isolation for the last 30-40k years"
It is difficult to accept that as being the case. Survival of separate haplotypes long-term on small islands that suffered at least one major later expansion seems precarious to say the least. In fact their survival may well have been much longer than 40,000 years if indeed K was the first Y-DNA to cross Wallece's Line. Personally I think it was the second, but that's another story! Thanks for your explanation. I was wholly unaware that the Cardial Neolithic originated in Italy, and it had spread to Mesolithic Russia by 7000 BC, or indeed that the Cardial culture ever reached Russia at all. I look foreward to congratulating you next week when we find that hg R1, J, E, and I all originated in Italy. Yeah, something weird is happening. Some of my old posts about ancient genomes are getting unusually high numbers of hits this week, and especially today. This only happens when a major paper is coming out and science journalists are doing some research on Google before they write their stories. You know that I am not an English speaking and I don't catch all your English humour, but irony has a little place with me, I paid it always with sarcasm. Now Dienekes says that the idea that hg. E back migrated to Africa is his, but very likely I said that long before him, without having all his weird positions on other arguments. Not all hg. E, but some subclades, like V65, are very old in Italy. Hg. I2, above all M26, the same. Not I1, in fact the I1-DYS426=10 of Crisistelli, even though separated from 3400 years (YFull dates I think underestimated) from the Northern European ones and that could be of Rhaetian-Etruscan origin, I said that a German origin is the most likely. That other hgs are very old in Italy is notorious. Look at the YFull tree about J2 (but also for some J1 subclades) and all will be clear to you too. Old Indian Proverb. before it is deleted by David. Every Man has craziness the size of peanut. But some men may have bigger size. Dienekes: Peanut. J2 is the source of all culture on earth. David: Orange: R1a is the greatest and they beat everybody to pulp on their way to India. Terry: Cantaloupe. SEA , Wallacea is before earth originated. What is this India and South Asia. Goebbels is nothing compared to me. Now Gioiello: Water melon. Italian R1b is the most virile and we had our way with European ladies..
Water melon (Citrullus vulgaris). In Italian "citrullo" does mean "idiot, moron", as "minchione", i.e. with a great mentula. Very likely that isn't the thought of the European ladies, who don't ask if you belong to hg. R1b, even though Iberian Falcon has many probabilities to be so. Nathan. Given, but from who? There are several wolf species in the middle east and south asia. The himalayan wolf and indian grey wolf are separated by a million years. Both have branched off earlier than grey wolves and dogs. The position of the arabian grey wolf seems to be not very clear. The actual subspecies that was ancestral to dogs would have quickly died out in the wild by the early neolithic. Note that Arabian and indian wolves hunt rodents. Such behaviour would have drawn them to human settlements, trash heaps, granaries The immediate wild ancestors of dogs would have been completely cannibalized by their domesticated descendants. This is true for wild cattle in India, Anatolia. they are extinct. wild Water buffalo are mostly extinct only a small pocket hangs on in north east India. Not a peanut. More like a steaming pile of horseshit. Rule: Do not speculate about the people posting here. Dienekes has posted here. Good writeup Postneo. Recently some articles started appearing about Himalayan wolf is a separate species by itself. Happen to see Gaur Indian buffalo and Ongole bull both South Asian origin. They are bigger than American bison. Texas longhorns are hybrid between Indian and European varieties. Dogs, Cows and Diseases also help backtrack the human dispersal path and destruction. "Terry: Cantaloupe. SEA , Wallacea is before earth originated. What is this India and South Asia. Goebbels is nothing compared to me". "Three new features of the phylogeny underscore the importance of South and Southeast Asia as likely locations where lineages currently distributed throughout Eurasia first diversified"
If you bother to look you will see that the majority of K2-derived haplotypes are SE Asian. Unfortunately for you I am the one who have the last laugh! Glad to made you laugh finally terry. "Well NO is a 'northern' branch within K2 and so it looks as though both Oase-1 and Ust'-Ishim spread across Central Eurasia from the east." Umm.. no it's not. Where is N or O in Native Americans? P is the northern branch of K2. Just wait and see. Ancient relics will be a result of limited flow from the rest of Eurasia into SE Asia. We will see the UP be a mix of all kinds of lineages. Don't be surprised if UP Europe is host to all kinds of lineages, making what I say make sense. SE Asia looks like a source due to limited interaction after that UP. K2b may have split near South Asia, but certainly not SE Asia. Just because a place has more basal branches, doesn't make it a source. Should I go out and say because German Beakers have M269, L51, P312, U152, that M269 and even L23 diversified in Germany? We're a very mobile species. We always have been. If a very small group of people can go from Siberia to South America in less than 3000 years. I'm sure a few waves of different K2s can move from Central or SC Asia to SE Asia and make it look like a source. There weren't exactly any ice barriers. If ancient DNA has taught us anything, it's to not always go for the simplest explanation such as basal branches or diversity. Native Americans are a post-LGM phenomenon and aren't really informative about earlier Paleolithic movements. To prove things such as K2b being more northern than K2a in origin, we'd need to find something like Ust-Ishim's contemporaries with K2b from more northern latitudes. Same goes for K2's Paleolithic presence in Europe. Oase-1 (K2a) could have been an anomaly and it doesn't even resemble modern Eurasians very much, would not be surprising if otherwise K2 and even IJ were absent and everything was C.
"tropics wouldn't intuitively be the ideal place to serve as a population source and diversification point"
Man o man. this is what we are down to. IS there a single a diversification that came from Non tropical place?. Tundra and woods are no place for Bio diversity or living before tropical people developed tools. Tundra and woods is where it's at ! No proof, No science nothing. It's all ethnic bias. I'm just saying that being dogmatic about one place will probably get you burnt. If K2a is all over, don't be surprised if K2b is the same. Oase-1 is only an outlier due to being an extra 10% Neandertal. I would keep an open mind and be ready for anything. A 4.5-4 Kya date changes the narrative of an Aryan invasion significantly. This is peak period for the IVC , it would imply waves of migrants settling into more cosmopolitan areas rather than the violent invasion theory you subscribe to Davidski lol. So it is possible the Rakhi garhi sample can show up as R1a, though it is likely J2 or L1, It seems the starving Indo Iranians of the steppe wanted a more agricultural existence. The need to hack each other to death because of limited food and resources isnt so appealing when you can farm and live a more settled existence. As you can see from the ancient DNA data, the expansion in Z93 lineages started on the steppe far away from the Indus Valley. It's not like they're just picking up what happened in South Asia with modern data, are they? "I would keep an open mind and be ready for anything". Yes, but ... we have to work with the evidence as we at present have it, not what we would like it to be. "Umm.. no it's not. Where is N or O in Native Americans? P is the northern branch of K2". "Native Americans are a post-LGM phenomenon and aren't really informative about earlier Paleolithic movements. To prove things such as K2b being more northern than K2a in origin, we'd need to find something like Ust-Ishim's contemporaries with K2b from more northern latitudes". Quite! NO is certainly more northern than any other K2 except for P (k2b2). And a basal branch of K2a was certainly present well to the north between 37-45 kya. That is considerably earlier than was any K2b (R* in MA-1 at 25kya). K2b2's presence in northern regions has to post-date its separation from K2b1, surely. Which, in turn, has to post-date the formation of K2b itself, along with the formation of K2a, K2c, K2d and K2e. I'm quite prepared to accept there were considerably more branches originally that have since become extinct but I don't think we can say, with any sort of confidence, that they formed far beyond K2's present distribution. Although we know that one clade (K2a) and one subclade (K2b2) certainly moved a considerable distance. All other surviving clades and subclades are confined to island SE Asia, or very close to it. "We will see the UP be a mix of all kinds of lineages". I agree with that. But the Upper Paleolithic is not the first expansion of modern humans. No-one would call the first Australians 'Upper Paleolithic', for example. "K2b may have split near South Asia, but certainly not SE Asia". I wouldn't be so confident about that. Check they currently accepted phylogeny. I agree it's possible it will be further adjusted in future but meantime we have to accept the evidence as we have it, not go round making up possibilities. "Just because a place has more basal branches, doesn't make it a source". Agreed. But again, check the phylogeny. K2b is firmly nested within SE Asian haplotypes, although the extremities are K2e in South Asia and K2a in East Asia. P, or K2b2, forms a clade with a group virtually confined to east of Wallace's Line. To me that suggests the split between K2b1 and K2b2 must have happened somewhere near that line. "We're a very mobile species. We always have been". I agree 100% with that. That's why I see no problem with members of GHIJK having progressively moved east, probably through South Asia, and then the derived K2b2 having moved back west through the same region. "If a very small group of people can go from Siberia to South America in less than 3000 years. I'm sure a few waves of different K2s can move from Central or SC Asia to SE Asia and make it look like a source". But we have adequate evidence of the former but very little for the latter, apart from now extinct K2a* (Oase and Kostenki) and R* (MA-1). To me that suggests human groups have several times been able to move fairly well north in Eurasia but have been pushed to extinction, or near extinction, on most of those occasions. "If ancient DNA has taught us anything, it's to not always go for the simplest explanation such as basal branches or diversity". The main surprise I have had so far is how early the branches formed. In many cases considerably earlier than the 'molecular clock' was predicting. "I don't know too much about SEA, but the tropics wouldn't intuitively be the ideal place to serve as a population source and diversification point"
But the ability to cross open water would have required a considerable improvement in boating, which would have, in turn, allowed a considerable movement back through already populated regions. We observed one lineage, carried by the Vietnamese sample HG02040, that is derived for F-M89 and most other SNPs shared by the rest of megahaplogroup F. However, the individual carried the ancestral allele for four SNPs present in the derived state in all other hgF representatives. These SNPs include M3658 (85,89,031, C→T), M3680 (14,237,670, C→T), M3684 (14,367,181 G→A), and 14,565,310 C→A. The lineage therefore constitutes an outgroup to the rest of the clade and is the only one that we classify as belonging to paragroup F*. As haplogroup G was the most basal subgroup of F in any of the seven aforementioned studies, this lineage is novel. This first full sequence of an F* lineage enabled us to define new internal structure of the phylogeny. The 4 SNPs for which the lineage retains the ancestral allele define a new internal branch of the tree, GHIJK, that is immediately upstream of the one-SNP HIJK branch identified by Poznik et al. (Supplementary Figure 14b and Supplementary Figure 15). No HG02040 reads were available for an additional 11 hgF SNPs. Due to low coverage and the isolated position of this lineage (please see the caveat in subsection 4.3.2), the greedy algorithm assigned these 11 SNPs to the GHIJK branch as well (for a total of 15), but it is unlikely that the F* lineage actually retains the ancestral allele at more than one of these additional sites (p = 0.03, binomial test), given that it carried the derived allele at 147/151 observed hgF SNPs. Karmin et al. recently noted in the high-coverage sequences of Wong et al. the presence of an F2 lineage, carried by the Malay sample SSM072, that also lies outside the main GHIJK subgroup of F."
Note that Tibeto-Burman & Southeast Asian F*/F2 is separated from GHIJK by at least four SNPs, whereas G is separated from HIJK by only one known SNP (i.e. HIJK-PF3494/F929/M578). "But we have adequate evidence of the former but very little for the latter, apart from now extinct K2a* (Oase and Kostenki) and R* (MA-1)." Oase 1 and Ust'-Ishim are K2a*, branching off upstream of a node from which the Y-DNA of HG03742 (a Telugu residing in the UK) and haplogroup NO-M214 have descended. Kostenki 14 rather belongs to haplogroup C (probably C1). "Kostenki 14 rather belongs to haplogroup C (probably C1)". I have it noted as specifically C1b*. "Terry, it is now known that Tibeto-Burman & Southeast Asian F*/F2 is basal (by a slight margin) to the major part of haplogroup F (i.e. haplogroup GHIJK)". That could place the whole F clade origin in East Asia. "As for the subclades of GHIJK, the most ancient diversity is preserved in haplogroup H, followed in order by K, IJ, and G, with haplogroup G in particular having a relatively recent founder, whose age is only about 55% of the age of the MRCA of G and HIJK"
Interesting. From east to west H forms H3 (Burma and Tibet), H1 (South Asia) and H2 (Europe). K primarily East Asia, specifically SE Asian, F1 and F2 in South Asia and G and IJ SW Asian. What happened to the information that had IJ and K on a unique branch? "If you want to use the present distribution of basal subclades of K2 in the Malay Archipelago as evidence for an origin of K2 in that region, you must also consider the entirety of haplogroup F-M89 in a similar manner". The trouble is that K2's distribution provides a completely believable pattern for the spread of K2 through SE Asia to Australia/New Guinea. You have K2e in India, K2a in China, then a geographic break to K2* in Sumatra, then K2d in Java and K2c in Bali. Presumably these are a consequence of isolation and drift following sea level rise. Then we come to the problematic K2b. Ignoring K2b2 for now we have K2b1b in Borneo, K2b1c in the Aeta of Philippines, M in Eastern Indonesia but especially common on the Melanesian islands and K2b1a in New Guinea and Australia. All but the first of these involve a sea crossing, and even Borneo may have already been separated by the time of K2's expansion. The whole pattern suggests a series of diversity of single lineages as K2 moved eastward. And even K2b1a itself carries on the pattern with K2b1a* in Sumba, S in New Guinea and the Philippines, K2b1a-P79 in Timor and Melanesia, K2b1a-P315 in New Guinea and K2b1a-P60 in Australia. Try fitting K2b2 somewhere in there! "I have it noted as specifically C1b*." I figure you must have misspoken when you have stated that the Kostenki specimen's Y-DNA belongs to "now extinct K2a*." The original genetic analysis of Kostenki 14's Y-DNA, in the paper by Andaine Seguin-Orlando, Thorfinn S. Korneliussen, Martin Sikora, et al. (2014), indicated that the specimen belonged to haplogroup C1-F3393, but with only 1x depth and zero reads on any SNP phylogenetically equivalent to F3393 that would corroborate its placement in that haplogroup. That is why I have written "probably C1." In the summer of 2015, Genetiker reported that the Y-DNA of Kostenki 14 belonged to haplogroup C1b1-K281(xC1b1a-Z16449). Yesterday (2 May 2016), Qiaomei Fu et al. published a paper in which the Y-DNA of Kostenki 14 was indicated to be C1b-F1370, with 12x sequence depth. In any case, Kostenki 14 belongs to haplogroup C, and not to haplogroup K2a* (nor to any other subclade of haplogroup K). "I figure you must have misspoken when you have stated that the Kostenki specimen's Y-DNA belongs to 'now extinct K2a*'." Oh dear. Certainly did. I meant Ust'-Ishm and Oase. Thanks for the further clarification of Kostenki's Y-DNA. "As for the subclades of GHIJK, the most ancient diversity is preserved in haplogroup H, followed in order by K, IJ, and G, with haplogroup G in particular having a relatively recent founder, whose age is only about 55% of the age of the MRCA of G and HIJK". I've just checked the tree given in the paper again and I see contradictions with what you're saying here. I note that G has a 'relatively recent founder' but its separation from the GHIJK clade considerably pre-dates its expansion. That could mean its ancestor underwent a considerable period of drift before being able to expand in its present form. The sequence of splitting given in the diagram is, yes, F separate from GHIJK. But the latter separates into three: G, H and IJK. IJK splits, as is usually accepted, into IJ and K. Next K splits into LT and K. The bulk of the K clades are then ignored concentrating on NO (K2a) and P (K2b2). But I have covered the other K2 branches shown in ISOGG above. Obviously time of expansion does not coincide with time of separation. Aurignac samples are C1a. Their cousine Gravettians were C1, I, IJ*, and C1a2. Magdalenian samples were I*. That may imply that old assumptions and consequent beliefs about Indo-European origins are dead wrong. Especially since Centum/Satem are BOTH present - to describe "a hundered" - in the major Uralian language. What remains is that the major part of Eurasian y-dna are descendants of a LCA, at the base of makrogroup (C)F, from which the main branches of GHIJKL/MNO did develop. Since the paleolithic variants of these haplogroups seems to be extinct, The big question is if the modern versions of these haplogroups are "re-started" from a LCA at the very end of the Younger Dryas - as the surviving descendants of hg C/F started to repopulate the Eurasian continent. Thus it's important to understand and notify that the deepest cold and the strongest, biotopical eradication of the northern hemisphere - on record - set in 5000 years after the LGM, during the Older and Younger Dryas. The bottle-neck that finally came to define the y-dna of the present populations of Eurasia were obviously a higlhly limited number, surviving the Younger Dryas 13.000-12.000 yrs ago. This seems to coincide with the transitional examples of the mesolithic Eurasia, such as the ones found in Villabruna, Bichon, Satsurblia, where mt-dna U5, just as y-dna G,H,I,J and K seem to find the clades that still are associated with the Caucasian phenotype. Following the modern distribution of y-dna GHIJK (and the later R1) we find a clear-cut correspondance to the spread of the IE languages, from western Spain to eastern Siberia. There is, in other words, nothing thagt really contradicts that the IE proto-language may be of paleolithoic origin. The 50 year old hypo that became a 'consensus' - telling everybody that the IE languages developed "within the framework of agriculture" - is o-b-v-i-o-u-s-l-y built on assumptions. Besides, the 'neolithic origin' still lacks any evidence able to substantiate this famous hypothesis. "Following the modern distribution of y-dna GHIJK (and the later R1) we find a clear-cut correspondance to the spread of the IE languages, from western Spain to eastern Siberia". But hang on. K is primarily SE Asian. No evidence that any IE language existed anywhere near there before the last 2-300 years. GHIJK is therefore obviously not responsible for the spread of the languages.